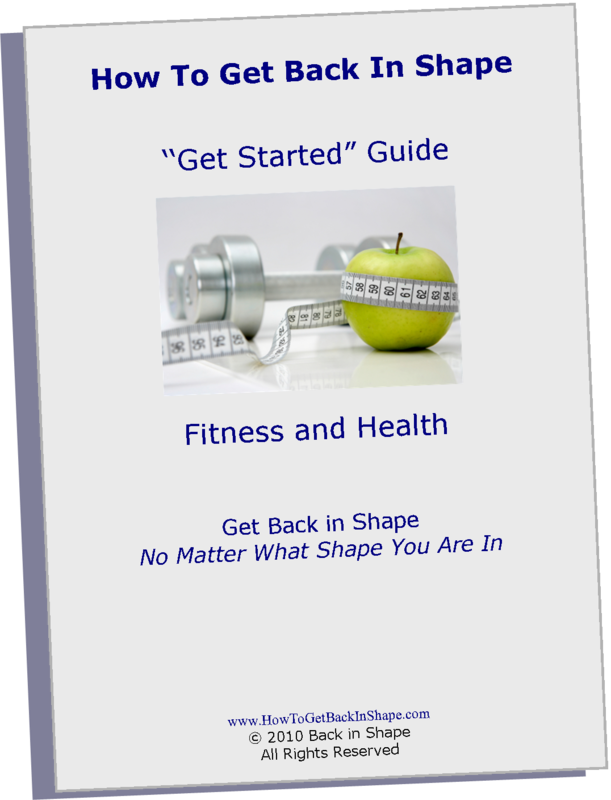 Sign in for a free guide to get back in shape. If Weight Loss or more accurately, Fat Loss is your goal for getting back in shape, you want to address your calorie intake and your calorie expenditure. 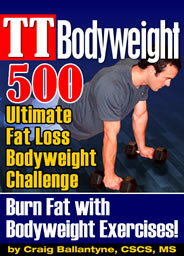 The best exercises for weight reduction should burn calories and strengthen muscles, preferably at the same time. To decrease your calorie intake, choose filling foods that are rich in nutrients. To increase your calorie expenditure, the best exercises for weight reduction include conditioning, aerobic or "cardio" exercises and strength training to burn calories. As you become more fit and can tolerate increased exercise intensity, add high intensity *interval training (HIIT) for greater calorie burn and weight reduction. If you have health problems, make sure that you clear any interval training exercises with your doctor because they are harder on your heart. The best strengthening exercises for weight reduction include large muscle groups and multiple muscle groups, such as your glutes, thighs and trunk muscles, to increase your calorie burn for getting back in shape faster. Bodyweight exercises are good for targeting multiple muscle groups. Add adequate rest and hydration to improve your fat reduction results. And set up your support system for success. To learn which measurements to track as you reduce your weight, see our section on Personal Tracking Measurements. Track your progress on our Measurement Log for more motivation. Weight loss or Fat loss exercises must include both Aerobic exercise and Strengthening exercises. Aerobic or conditioning exercises burn calories. You can turn almost any exercise into an aerobic exercise by raising and maintaining your heart rate to a target zone over a period of time. Strengthening exercises increase your musculature. The more muscles you have, the more calories and fat you burn, both during and after exercise. Also, you will want to learn about *interval training to increase the efficiency with which you burn calories during your workouts. *Interval Training - once you have prepared your joints, ligaments, tendons, muscles and cardiovascular system to tolerate a more intense workout, you are ready to include interval training, also known as high intensity interval training (HIIT). Intervals are short bursts of higher intensity exercise interspersed with slower, lower level efforts. This allows you to burn more calories at higher levels of output, but then recover back to your normal level of workout until you feel able to bump it up again. Interval training can be incorporated into any conditioning, aerobic or cardio workout whether it is walking, swimming, cycling, or working out on an elliptical, rowing machine or any other workout program. Consider wearing a heart rate monitor and using a timer like a Gymboss to optimize your interval workout. You should be able to maintain your ability to talk while exercising and not exceed your maximal heart rate. Home Fitness & Exercise Gyms - having the right fitness & exercise equipment accessible to you can make you look forward to your workoutsand help you to be successful with your back in shape plan. Tom Venuto's, The Inner Circle - Having the right ongoing support can help you keep going when the going gets tough. Find a Gym - Finding the right gym for you can make you look forward to your workouts. 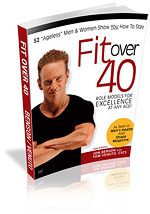 Find a Trainer - Expert instruction can save you time, money and effort as you get back in shape.